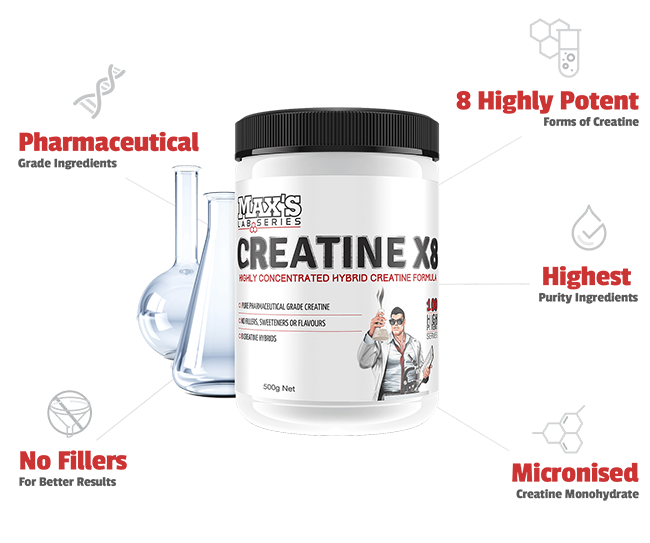 Maxs Creatine X8 is the ultimate, highly concentrated multi-creatine formula that delivers a high dose of bioavailable creatine to boost your training and results. Utilising 8 different and unique creatine hybrids, Creatine X8 offers the benefits of each type of creatine with none of the drawbacks such as bloating, water retention, poor absorption and GI issues. Instead, Max’s have created a highly potent formula which offers a sustained and improved delivery of creatine to the working muscles to help boost lean muscle mass and workout capacity. If you’re about to tackle a particular intense exercise period, creatine is the best supplement along with plenty of protein to boost your explosive power and growth. The Lab Series Creatine X8 provides 100% pure pharmaceutical grade creatine with NO fillers, NO sweeteners and NO flavours. What you get is pure, natural, working product – because Max’s focuses on offering the most premium products and ingredients for your needs. Max's Glutamine- You can take up or more than 5g of glutamine per day. Max's Lab Series Creatine X8- 5g per day is recommended. Max's 10-1-1 BCAA- 3-4 servings is sufficient but this depends on your training. In a day take up to 4 servings. Pure Pharmaceutical Grade Creatine Ethyl Ester, Tri-Creatine Malate, Micronised Creatine Monohydrate, Creatine HCL, Creatine Anhydrous, Creatine Gluconate, Di Creatine Malate, Tri Creatine Orotate. 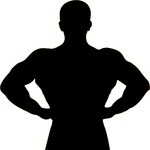 To maintain system Creatine levels, take 5g daily. Advanced trainers should take 1 dose 45 minutes before training and 1 dose within 1 hour after training.